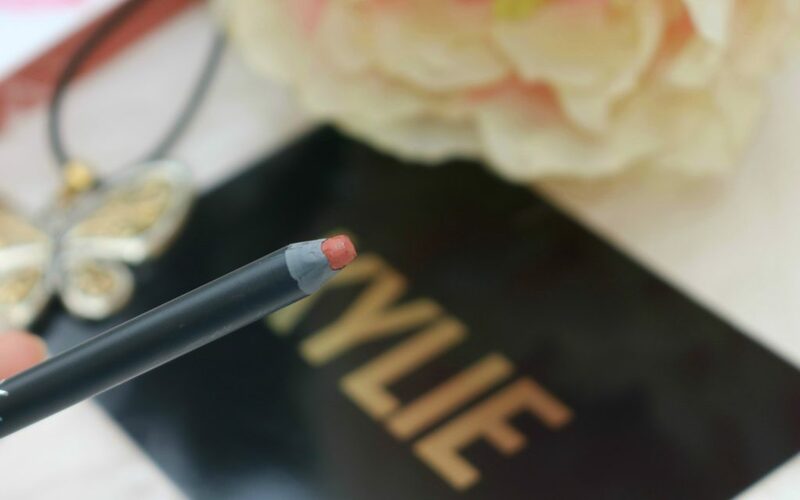 Each Kylie Lip Kit comes with a Matte Liquid Lipstick and matching Lip Liner. Ginger is described as a warm terracotta brown. 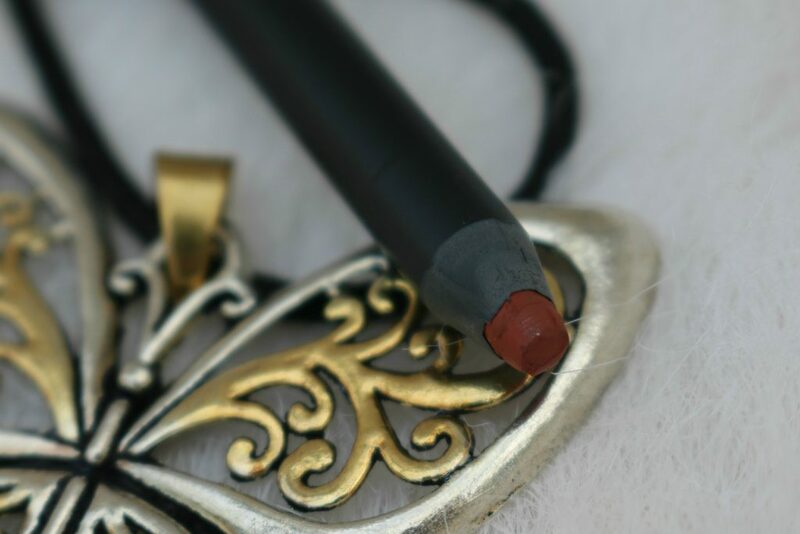 The lip liner’s Formula, Pigmentation and shade – Lip Liner is very creamy and is highly pigmented. 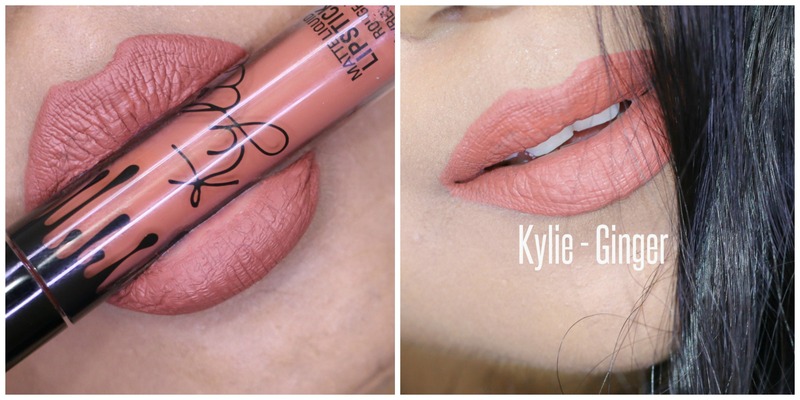 It’s so easy to apply and has the exact same shade of the lipstick. Only con I noticed is it has to be sharpened. Though it gets easily sharpened using most standard sized sharpeners, I find it very inconvenient to sharpen it all the time. 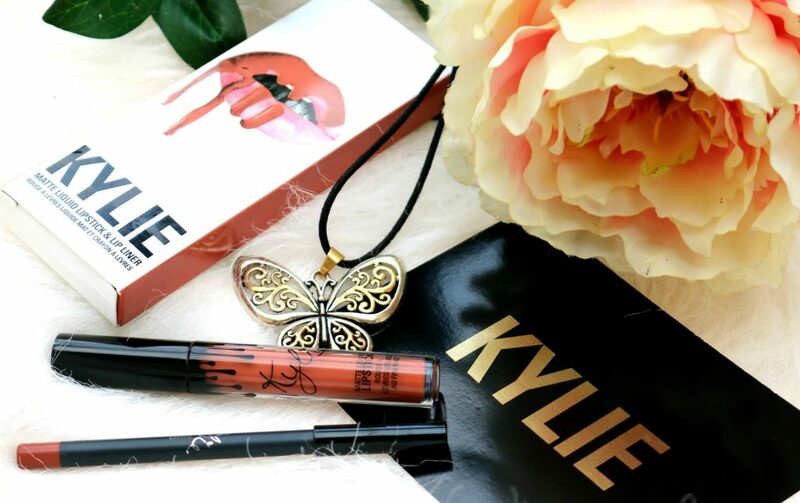 Packaging – Products are packaged in a white plastic box with Kylie’s Lip Logo. 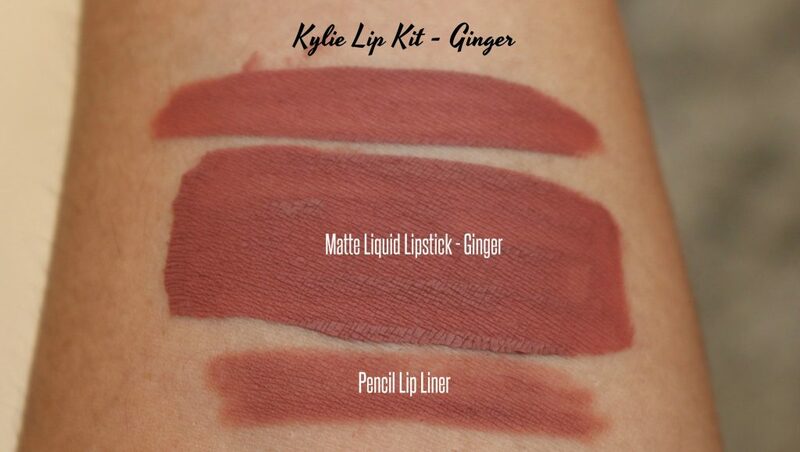 Each pack contains a lip liner and a liquid lipstick. The glass tube features a black cap with lipstick dripping from sides. Very pretty tube with a doe foot applicator. Fragrance – These have a vanilla fragrance to it. I quite like the smell. Upon application and once the lipstick dries, The scent is not noticeable. 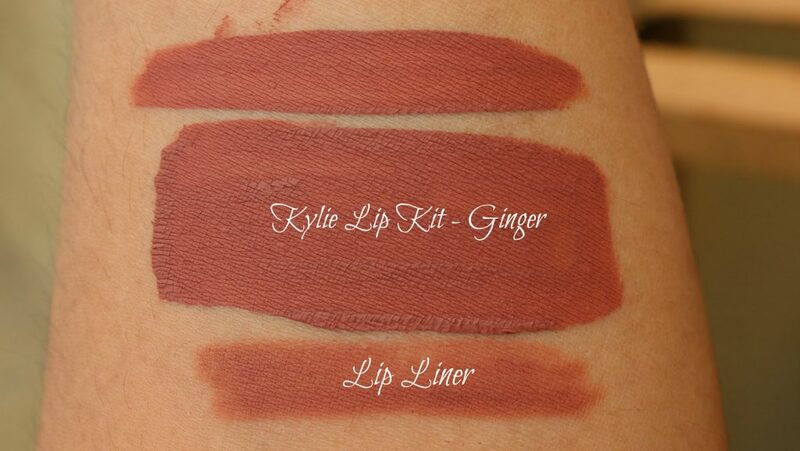 Kylie Cosmetics Ginger Lip Kit Forumla, Pigmentation, Longevity, Shade – They feel very very upon application. In 2 seconds, they dries to a matte finish. 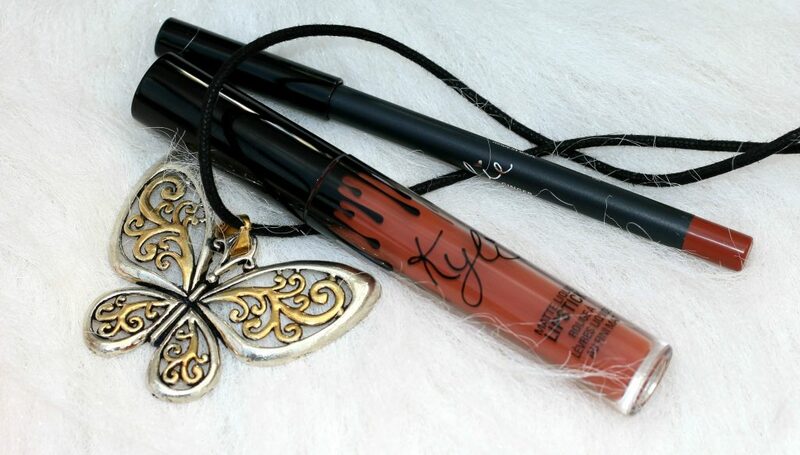 They are easy to apply and glides on to lips super easily. 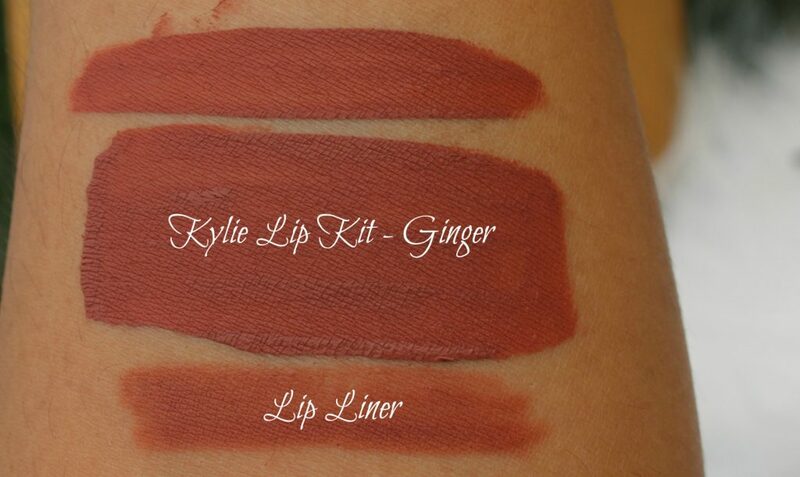 They will very comfortable on lips and it’s an extremely long wearing formula. The shades stay on the lips without getting streaky, fading or feathering. They don’t transfer to tea cups and glasses. Survives a full meal too. You barely have to touch up! Such a good formula. Liquid Lipsticks from other brands dry out the lips too much. This one is quite comfortable. Not very drying! Now, If you have extremely dry lips – I recommend you use a good hydrating lip balm/salve prior to application and also make sure you exfoliate your lips prior to applying this matte liquid lipstick. 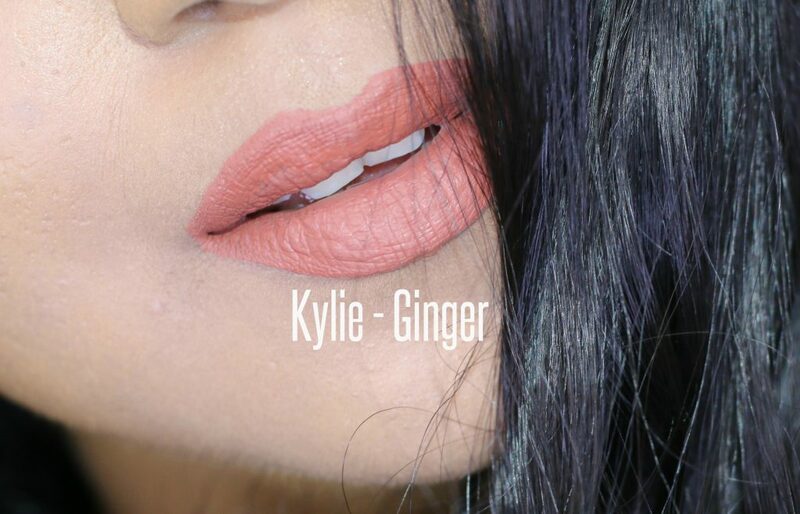 Ginger is a warm terracotta brown shade that is universally flattering. This has become my go-to shade these days. I find it doesn’t emphasize fine lines on lips much. The formula is really good and the vanilla scent fades away upon application. 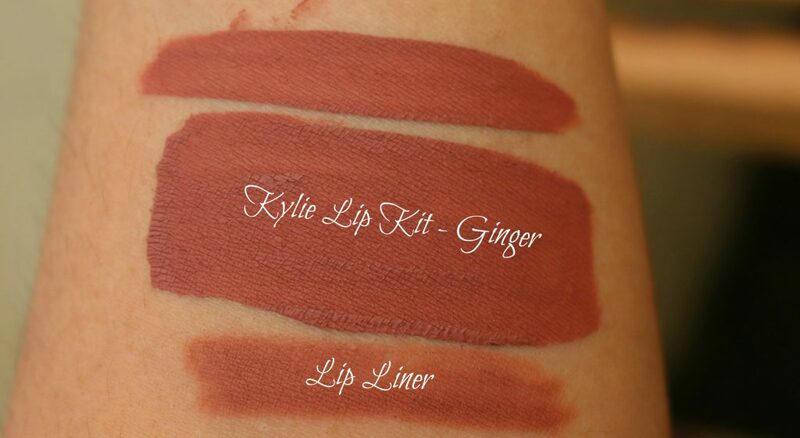 These dries to a comfort matte formula and stays on the lips for a really long time. In natural light with/without flash & in artificial light with flash – It shows the true color. I use my cleansing balm to take this off my lips. 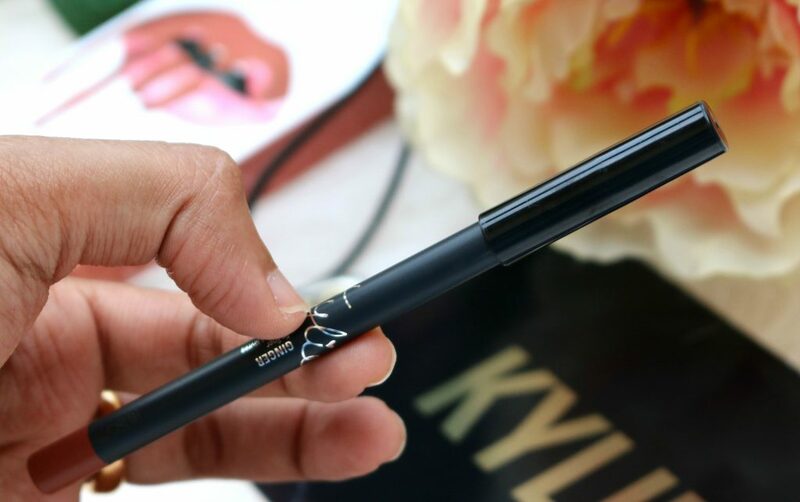 There is no shine/sheen to this shade and it’s completely smudge and transfer proof. Overall, I love the shade, packaging, formula, Pigmentation and I am super impressed with the quality. 29.90 USD is totally worth spending when you get an amazing quality product like this. I look forward to buy more shades! So, happy shopping guys! Why pay high shipping costs and costs thrice or four times the original price. Use myMallBox and shop your favorite products online! it’s so easy! 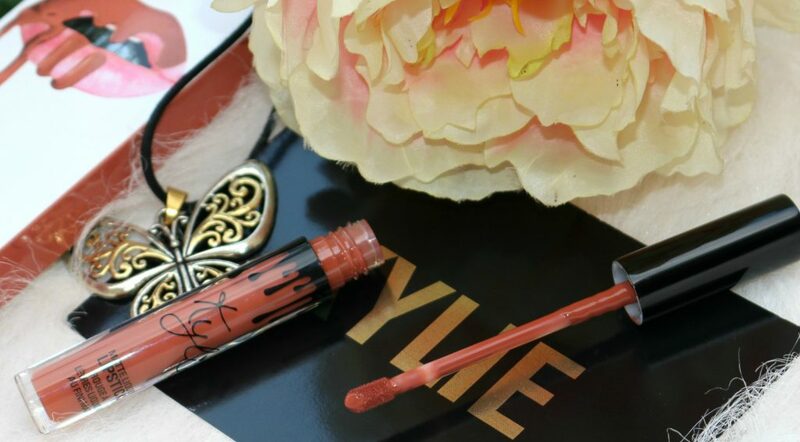 Have you tried Kylie Cosmetics Matte Liquid Lipsticks ? Which is your favorite shade ?